Hey guys today we would be looking at the 7 alternatives that are present for windows media center. While everybody shifted from Windows 7 to Windows 8, there are a lot many things that also changed along with the design. 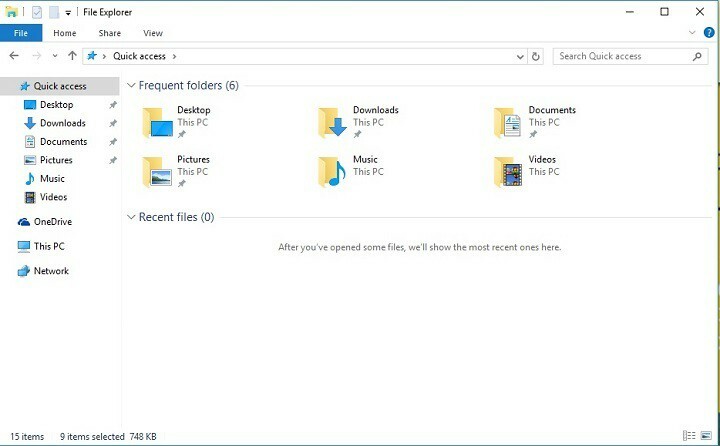 More noticeable, In the latest version, Microsoft has removed a few elements which earlier came as a built in with the Windows 7. Even though most of these were good in some aspects yet an ultra-useful tool — Windows Media Center was also lost in this process. Windows Media Center also known as the WMC, was a media hub for the Pcs which allowed watching movies & storing music files from various sources such as files and DVDs for example, recording TV etc. All these were interconnected in such a way that one could use it from any other Windows-based device on the home network. 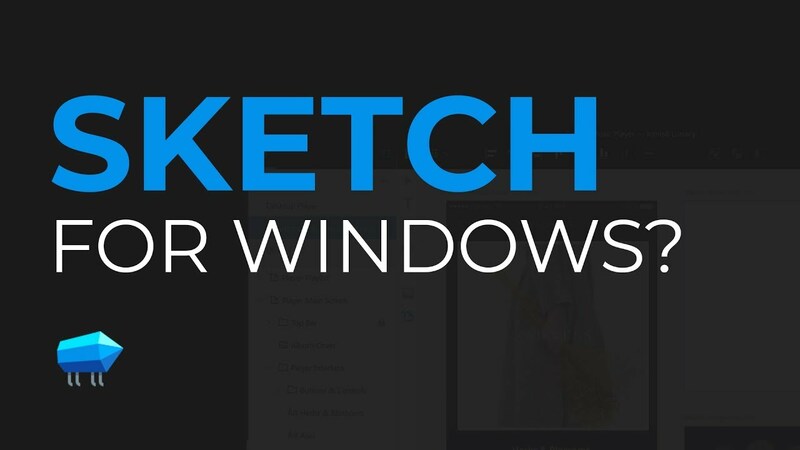 Sadly, for most users this program has been discontinued and hence we required to look up for some new alternatives in both Windows 8 or Windows 10. Similarly, if somebody is using a Linux or Macintosh and also wants to use a Windows Media Center-like solution as a media hub then all you need to do is to check out alternatives mentioned below. In this post, we’ve created a list of 7 best Windows Media Center alternatives that will surely help you out. 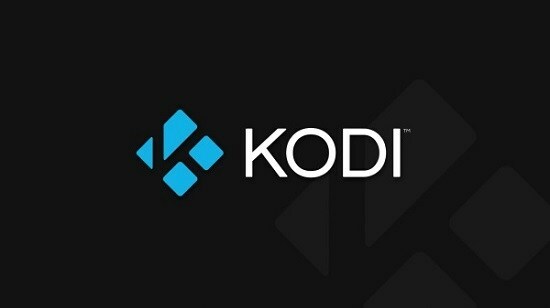 If you guys are looking for a Home Theater software then Kodi should certainly be the first option you would like to go for! 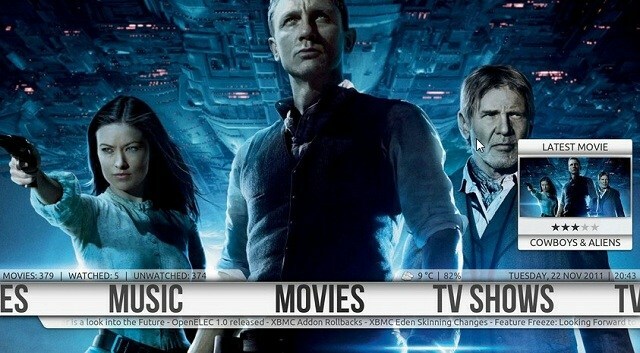 This Free & Open Source software was earlier known as XBMC and has been popular since the time it was launched. It helps you do a lot of tasks like playing local storage files, streaming web media content from services like YouTube, Spotify and Pandora Internet Radio etc. It comes along with a PVR- recording TV Programmes using a corresponding hardware. 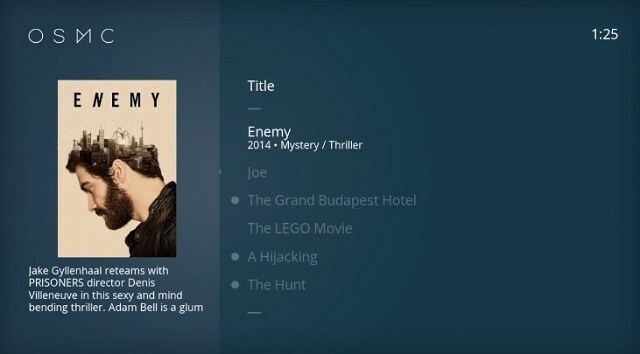 This feature of Kodi makes it a superb and adequate alternative for Windows Media Center. Yet another feature which attracts the users is that they can use it for playing Python-based mini games. Apart from the media hub-based features it has this program is also quite customizable in terms of looks and productivity. Variety of skins are available for it which helps you to make it look like you wish along with a large collection of Kodi addons and plugin which make management of your media quite easier. For example, it can be handy in case you wish to stream content from other services by installing suitable add-ons & other stuff. One thing that has to be noted is that it requires a PC that has efficient graphics-based configurations to give you the best media experience. At present it is available for Windows, Linux, Android, Macintosh and iOS as a native application which can be used safely. Hence, summing up it is an amazing alternative to Windows Media Center. Simply Plex also provides for Media Center solution but this one comes with some limitations that is it doesn’t allow you to record TV or watch it live! Despite these two limitations it is an amazing software to manage your media along with having support for a wide range of media formats. One of the notable features present in it is its networking which helps you to access your content in almost every device regardless of the platform. It comes along with sharing options, including a community for those media-lovers. Hence having this is a sense making choice when you require a Home Theatre PC which can be expanded to your other devices. Hence summing up Plex can be used as a typical media player in the front end, on the back-end it works as a solution to get an easy-to-access collections of all your media files. Also it comes along with online media streaming, It also offers a sort of integrated approach which provides support for YouTube, Vimeo, CNN, TedTalks etc. It is available for Windows, Mac and Linux, along with streaming-oriented applications for Android, iOS, Windows Phone and Windows 8. So it is a good alternative for Windows Media Center alternative along with easier organization methods. It’s to be noted that Plex also comes along with an impressive User Interface. This one is yet another Home theatre PC (HTPC) which can prove to be an amazing alternative to Windows Media Center. It helps you do a lot of stuffs like watching and recording Live TV, playing normal kind of media files from storage as well as DVDs & Blu-rays, listening to music files as well as radio, stream media files to PCs or HTPC devices that re in your network. When all the above features are combined with the superb user interface and the easy to access organisation method of MediaPortal, this tool proves to be a perfect WMC alternative. If we talk about the online streaming section then one can install corresponding plug-ins to stream content from popular services. The point to be noted here is that it is based on Kodi, despite the fact that one can’t judge so by its looks. The most notable feature of it is its ability to control the software using a multitude of methods like PC remote and Kinect. Sadly, it is available only for Windows users, through open source but it is absolutely free. However for these user Mediaportal can do wonders with all its User-friendly features. Hence putting it altogether it is a good alternative to WMC which acts impressively given that it just functions for you Windows PC. It is also known as the open media software and we will have to iterate the saying if we are to check out superb features, offered by the free Windows Media Center alternative. Along with native apps and supported apps for popular platforms, it is a reliable solution when one needs to store and organise their media as well as access it from various devices. It was earlier known as Media Browser and it had limited features and capabilities back then. But now after its recent update it has received a lot of features such as the Cloud Sync and Folder Sync, features that enhance viewing experience, playback improvements etc. Other feature of it includes the presence of parental control and feature to detect DLNA-based devices and a variety of dedicated apps that can help you carry your media anywhere. 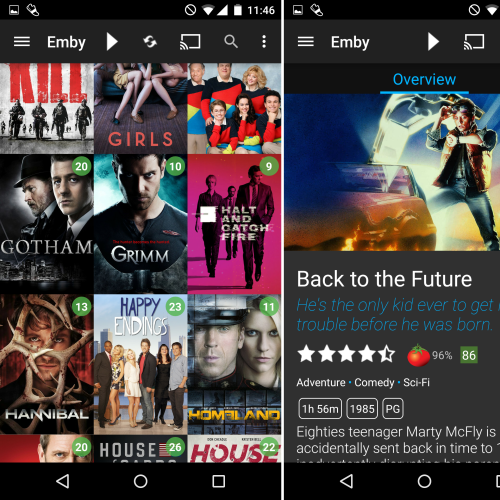 Presence of Emby can be classified into three types— its Emby Server, TV Apps and Mobile apps. This server at present is available for Windows, Linux and Mac whereas the TV Apps offer a wide range of support including Android TV, Chromecast, Samsung Smart TV etc. If we talk about the mobile apps, you can find apps for Android, iOS and Windows Phone. This one is a great software to keep your media contents well-organized and in such a manner that you can have access to all your movies, music or anything else from various devices such as TV. Hence, Universal Media Server will prove to be a great alternative when the main intention of yours is to view your media in different kinds of devices that you have. This offers support for any DLNA-compatible device present while on the other hand if no DLNA support is present then you can have access to the web-based interface to move ahead. About its extension of productivity, this one offers a lot of plugins to choose from. For example it is a possibility for you to use an extension for external services like Google Play Music. Also there might be a plugin that would let you find information from IMDB when you are watching media content. 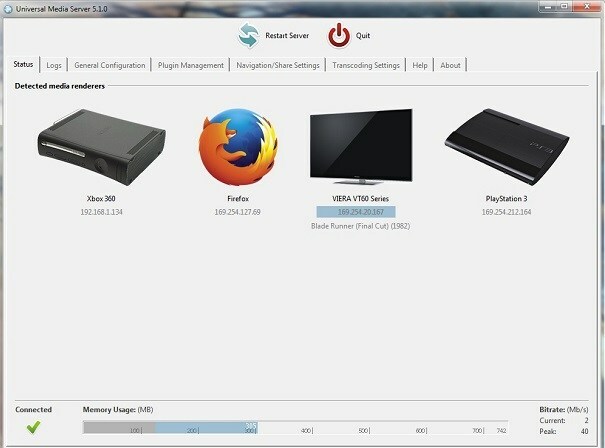 Universal Media server supports a wide range of devices such as xbox 360, PlayStation 3, Roku 3, etc. It is a popular short form of Open Embedded Linux Entertainment Center. This one is an operating system which can turn your computer into a fully-fledged Home Theatre (powered by Kodi). If your PC is one with a lower configuration then all you have to do is install OpenELEC Operating System in it and just start organizing and watching your favourite media. In addition to this if you have a Raspberry Pi or Apple TV then you can manage to have separate builds of OpenELEC. It can help you do a lot of thing such as movie organization, TV show management, music player, picture browser and the ability to record TV programmes and other stuff. This all when combined with the large collection of add-ons it proves to be a really amazing alternative. Adding to it, OpenELEC is actually a more developer-oriented alternative, but is meant only for the people who have a PC to spare for media management. The only drawback one can think of is it takes 15 minutes for this one to set up. We are really glad to make this list an Open Source list and here is our last recommendation for this list. OSMC has the minimalistic approach towards design and its amazing to have OSMC when you have to watch TV Shows, videos, Music or have to play other sought of media. Another feature of OSMC is that is available at the app store that also lets you customize OSMC as per your requirements along with installing required plugins and all. Also, there is a wide range of support for the media files which implies that one can play almost all sorts to popular media formats on it. Adding to it, OSMC comes along with a flagship device which can extend media experience to new levels- Vero is what it is called. OSMC is available for Windows, Mac OS X and Linux and it has support for Raspberry Pi, Apple TV and Vero. Lastly, what we like the most in OSMC is the minimal yet classy User interface design of it. If you know any other Windows Media Center alternative that deserve to be present in this list then, do let us know! We are waiting for your comments. 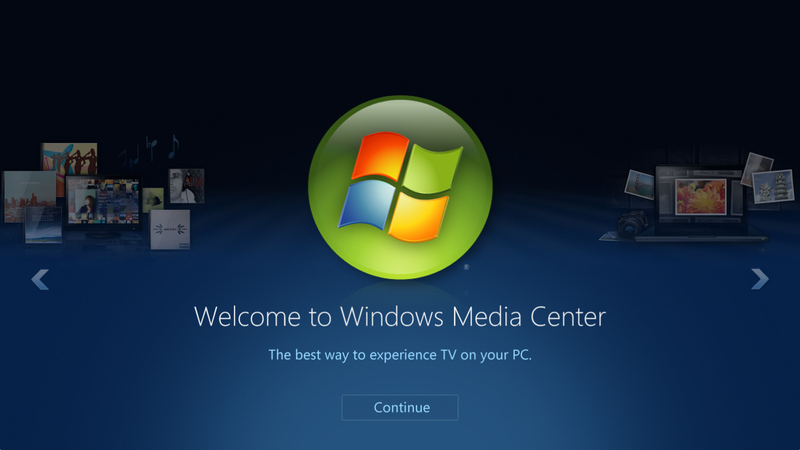 List of Best Windows Media Center Alternatives.